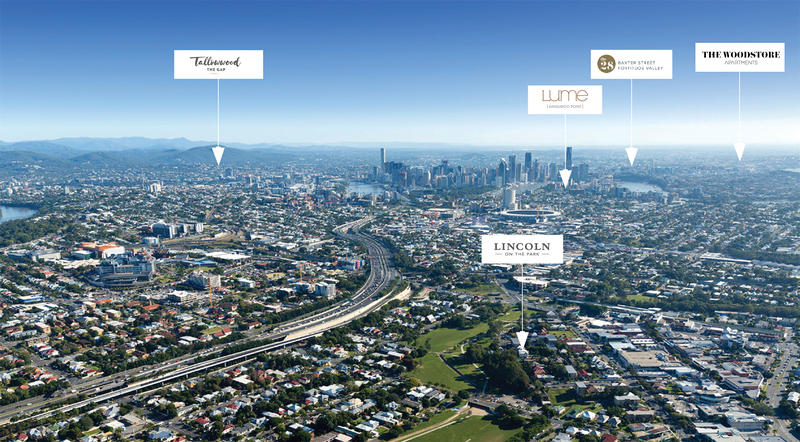 Its iconic development, Lume at Kangaroo Point, sets a new standard for boutique owner-occupier developments in Brisbane. Since the company launched in 2001, it has been creating boutique residential developments of exceeding quality. Each Devcorp project is purposefully designed to enhance the lifestyle of residents by creating unique, superior and livable spaces. The company appreciates the gravity and privilege of creating people’s homes and applies strict quality guidelines to all projects ensuring the execution of unique and quality developments that are immediately and proudly recognisable as Devcorp projects. The Devcorp team ensures every development showcases integrity and pride in quality workmanship so that authentic, exciting landmark developments and buildings are delivered. Every development comes with a design ethos based on livability and the beauty and skill of inspired carpentry. Peter and I had been looking for a while to downsize close to the city. We love Kangaroo Point. We have always been a little wary of buying off the plan. That is until we met the team at Devcorp. We found them to be very professional but also very approachable. They listened to what we wanted and then delivered. In fact, they still are. I can talk to them any time during this build and they are very helpful. We can’t wait to see it all finished. We have been dealing with Devcorp since early 2018 having purchased an off-the-plan apartment at Lume. The process has been easy and professional at all times. We are looking forward to a long association with Devcorp and can’t wait to move in to our new apartment in 2019. Our experience to date with Devcorp staff has been very cordial and pleasant. We started planning to downsize in 2015 and were attracted to Lume because of its location, the beautiful finishes seen in the display unit, and the fact it was promoted as more likely to be owner occupied rather than Investor owned. The enthusiasm and passion shown by both Murray and Casey Vallance of Cox Rayner Architects when we first met them at the display unit in 2015 for this project and final finishes also attracted us to Lume. We are now counting down the months for the project to be completed and for us to move into Lume in the second half of 2019.